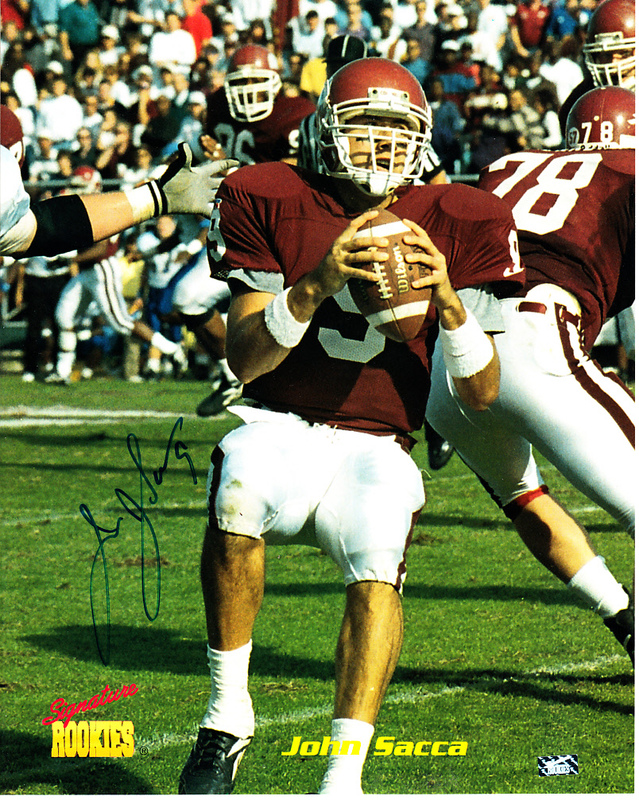 8x10 photo autographed in blue marker by former Eastern Kentucky quarterback John Sacca, who led the I-AA Colonels to the Ohio Valley Conference title in 1994. Authenticated by Signature Rookies, with their hologram and certificate of authenticity. ONLY ONE AVAILABLE FOR SALE.